In the walled city of Amritsar, you can have a holy dip in the "pool of pure nectar" or Amrit Sarovar, surrounding Golden Temple or Harmandir Sahib from four directions. Coated with more than 110 kgs of gold, this scintillating gurudwara radiates an aura of piety & spirituality driving people around the world. Bordering Pakistan, Amritsar also is known to satiate your taste buds with Punjabi traditional cuisines and open hearted hospitality. Papad's and Vadian from the city are synonymous to the spicy culture of Amritsar. Main Attractions: Golden Temple, Old City, Jallianwala Bagh, Ram Bagh. Geographic: Located on the northern western Punjab region, the holy land of Amritsar is a bustling city of Punjab. Only a few miles from the neighboring country of Pakistan, Amritsar is a foodie's retreat offering culinary delicacies. Famous for: Serene Golden Temple or Harmandir Sahib, the most important Sikh pilgrimage. By Air : Amritsar airport is just 11 kms from the city. By Road : 10 hours journey from Delhi, Chandigarh Six hours. By Railways : Delhi is connected via the Shatabdi Express with a journey time of & a half hours, Lucknow is 17 hours, Varanasi is 23 hours. 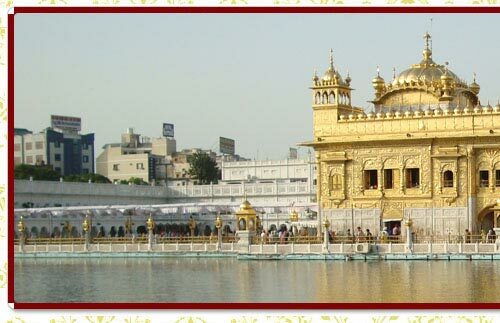 Amritsar is an old city founded in 1577 by Guru Ram Das as a center of Sikh culture & religion. 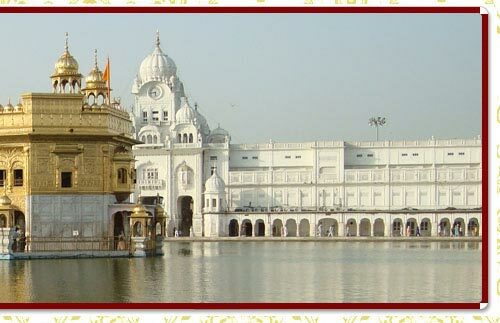 The Golden Temple is a scintillating divine standing as a symbol of piety & spirituality for people around the world. Amritsar is also famous for the good humor Punjabi hospitality & also has some places of significant Historical interest, all of which can be surveyed as part of Amritsar. The Golden temple is undoubtedly one of the world's most spiritual places which impresses both the mind by its philosophical theme while the senses with its beautiful architecture. The dome of the Golden temple, is gilded with 110 kgs of Gold, hence the name the Golden Temple. Similarly, the surrounding Amrit Sarovar or the pool of nectar gives the city its name. 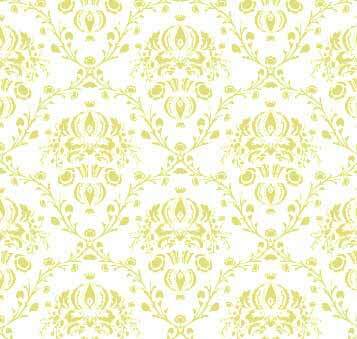 The motif of the dome is that of an inverted lotus, which is a symbol of inward meditation. The Golden temple houses the original copy of the Sikh holy book, the Guru Granth Sahib on Akal Takht. The building also has a small Sikh museum and a Langar or a communal kitchen where food is made for all pilgrims & served together, symbolizing Sikhism's spirit of equality & brotherhood. The Old City, another part of Amritsar city guide, is a maze of narrow alleys & bazaars. Here you may find the 16th century Durgiana temple, The Lakshmi Narayan temple, also built in the center of a lake & the beautiful mosque of Mohammed Jan. Here you may also savor Amritsari cuisine & enjoy the famous Lassi, a sweet buttermilk preparation made famous all over India by Punjab's doughty truckers. The Jallianwala Bagh is a grisly memorial to the 2000 Indians slaughtered in what has been since called the appalling 'Jallianwala Bagh' massacre. Here the park & memorial also house a small Martyr's Gallery. Ram Bagh is a small palace built by one of Sikh History's most illustrious monarchs, Maharaja Ranjit Singh. It houses a small museum with a display of weapons & a gallery of paintings dating back to the Mughal times.